We know that purchasing a home is a great financial investment; with the help of our trained real estate team, we can also make it one of your best. Allow yourself every opportunity to be successful by working with professionals, like the Real Estate Advantage team. With new homes on the market every day, we’ll be in regular contact with sellers and other agents to ensure you see all the new listings immediately, even if they aren’t public. Using this method, buyers can often place offers on homes with little or no property and walk away with a great deal. We’ll also save you time by ensuring we only show you the properties that are right for your needs, so you can focus your energy where it counts. We know Calgary. As you look at homes and compare all the best deals, we’ll provide you with important information about the neighbourhood, zoning, utilities, homes, and other developments occurring in the area. This inside information on the local market can help ensure that you find a home in a neighbourhood you will love for years to come. The Real Estate Advantage team is a team of professionals with years of real estate experience. We’ll help you to find a home and negotiate the best deal possible. You can expect us to attend property inspections, ensure that all agreed upon work is carried out, and take care of any paperwork. We’re here to make your home hunt as easy as possible, and will do everything we can to help you successfully purchase your next home. Working with us will help you save time and ensure that every step of the process is handled professionally. This extra level of assistance will help you secure the best investment possible and ensure that your real estate decision is one you’ll appreciate for years to come. 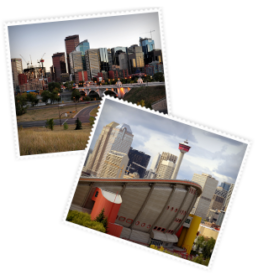 Contact us anytime to learn more about buying homes in Calgary and the surrounding areas.